A properly configured network is indispensable for your business. It is therefore important that you carefully plan what needs to be connected and how. Should there be more than one network? Should POS have to their own virtual network? How is it shared? microDOT works out with you what the best network solution is for your business. Our service microNET is to set up and manage your ‘physical’ wired corporate network. We make it possible to create multiple ‘virtual’ networks based on one simple infrastructure. The use of multiple routers is history. Your network is therefore safer, more transparent and easier to manage. We separate your company network from your other networks and integrate your network devices so that they work together smoothly. We set up your network for your PIN systems, billing systems, alarm systems, surveillance systems, NAS, servers and other devices and integrate them for optimal and safe operation. 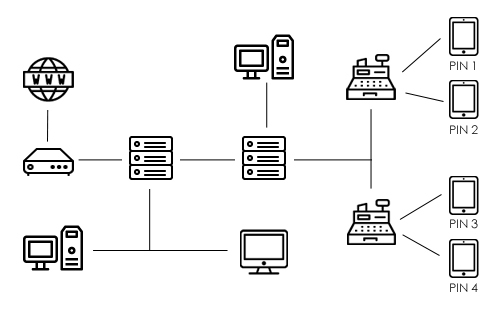 Multiple virtual networks on one simple infrastructure. We secure your network from external threats. We ensure optimal integration of the systems making use of your network. microDOT work with hardware of the highest quality. 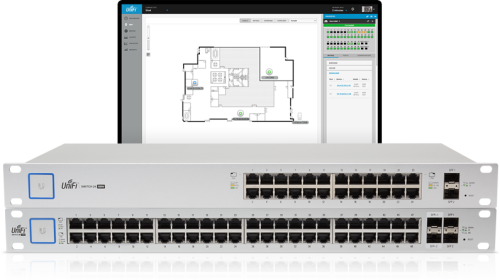 Using USGs and switches from brands like Ubiquiti we achieve stable network solutions that works for you and guarantee a trouble-free digital operation. The Blauwe Theehuis in the Amsterdam Vondelpark is an Amsterdam landmark. A traditionally busy public place with a beautiful large terrace. 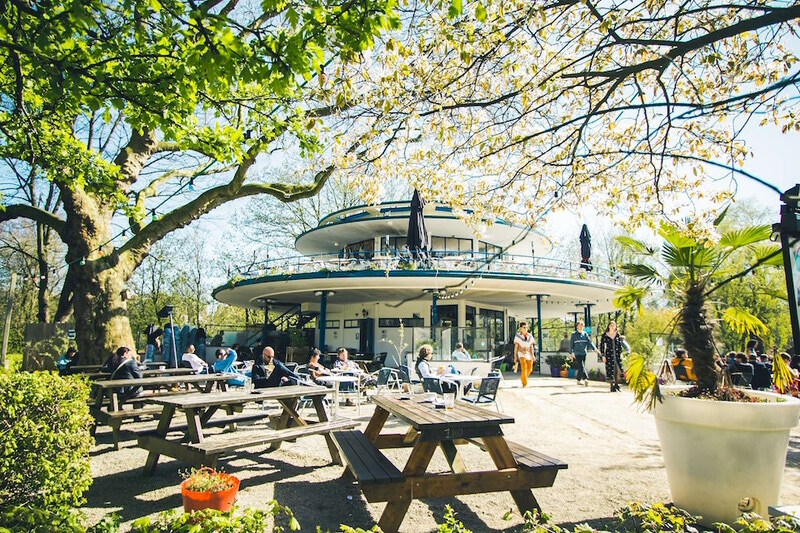 The Blauwe Theehuis is popular with hikers in the Vondelpark and with flex-workers who eat breakfast with their laptop, but also as an events location, for example during the Amsterdam Dance Event. Obviously, this means that there are challenges to providing Internet for guests as well as the running of the tills, mobile pin terminals and music computers. microFI and microNET are the products that provide the solution.